Your process helped us understand the need for change. Once we got everyone in the room and saw the big picture, we discovered we were not as far apart as each of us had thought. It was then easier to agree on specific changes in structure and to implement them. We were amazed that we moved as far forward as we did." For more than two decades Cortland Group has helped people and organizations take advantage of the opportunities that come with change. Working in partnership with you, our client, we design custom solutions grounded in proven models, real-life experience and cutting-edge thinking. We think systemically, helping you see how the various parts of your organization or your life are connected so that you align decisions and actions with your vision and values. Partnership. When you hire us, you get a partner. We are in your corner with an extra set of eyes and ears and a safe, neutral mirror for reflection. Our client relationships are built on trust, commitment, communication, shared objectives and mutual learning. We work with you to create your agenda, gather and analyze data, discover underlying issues, uncover latent opportunities, design and implement effective strategies that move you and/or your organization forward. Systems. We think systemically with you so that you see the big picture and how all the parts fit together. This is true in both our consulting (understanding the interaction among parts/functions/levels/systems of your organization) and in our coaching (helping you to see how you bring who you are to everything you do). By clarifying interdependencies, we help you identify and leverage the areas with the greatest potential for positive results; then we design effective strategies for achieving them. Empowerment. Our goal is to build your capability and capacity. We teach you our processes and models so you can apply them, expand on them and leverage our input. Once you identify the opportunities, develop your vision, and learn the appropriate skills and/or processes to move forward, we are there to provide coaching, support, and facilitation as needed. "Lorri Manasse has coached me over the years as my career has progressed through three different organizations and from front line trainer through Chief Learning Officer to my role today of Chief Human Resources Officer, MasterCard Worldwide. I can count on Lorri to listen to me, to hear what I'm saying and what I'm not saying, to push me, encourage me, challenge me, and affirm that I can do anything I set my mind to. I can also count on her to tell me the stuff I don't want to hear (but need to know), or that I already know but don't want to face. Lorri's coaching has been instrumental in my gaining the confidence to take a risk, the emotional intelligence to build relationships and empower my team, and the skills to be a leader in the global marketplace." Diversity. We honor and value diversity. We understand how diversity in the broadest sense of the word (diversity of thought, diversity of culture, ethnicity, experience, training, perspective) adds value to an organization or an individual. We help our clients appreciate and integrate the various cultures in their organization, communicate effectively across diverse members and constituents, reach out to the larger community, and leverage diversity for organizational effectiveness. Learning. We learn with and from you, our client. We learn something from every person and every system with which we work. We talk with clients and colleagues about our learning. We participate regularly in professional meetings, seminars, teaching, and writing opportunities. Learning keeps us current, enthusiastic and challenged by our work. Learning with our clients strengthens our partnership. Leaders must encourage their organizations to dance to forms of music yet to be heard." We achieve these results with you through executive coaching, change management, facilitation, team building, leadership development, strategic planning, and organizational assessment/organizational design. We help you get results. With you, we set clear expectations at the beginning of an engagement and then work together to achieve our goals. You will see the impact of our work, whether it is organizationally in our OD work, or individually and organizationally in our coaching. We develop strong partnerships with our clients based on trust, respect and mutual learning. We bring you tools, models, and our experience in many organizations. You bring the knowledge of your own organization. We work together to understand underlying issues and root causes from multiple perspectives. Our systems perspective enables us to identify patterns, conflicts, and leverage points. Jointly, we design and implement actions and strategies that are right for your organization or for you. We know organizations. We are quick studies. We ask good questions, read cultures and understand process. We provide a mirror and an outside eye to look at your organization or yourself. We listen well — to what you say and what you don't say. We challenge your thinking and your assumptions. And we do this in service of you and your organization. We do not bring an off-the-shelf set of products. We do not define the issue to meet a pre-packaged solution. What we do is design custom solutions and interventions that are right for your organization. We are adept at facilitating meaningful and deep conversations about things that matter. We create safe space. We followup so that conversation leads to action. We take time to intentionally acknowledge learning. We are skilled in a wide range of facilitation models, from small group work to large scale, whole systems events of hundreds of people. Our participants come away feeling that their time has been well spent. People find us easy to talk to. They trust us. We honor that trust and respect the confidentiality of our conversations. We are known for our ability to give people the gift of feedback in a way that empowers them and supports their growth. The questions we ask make people think. They feel supported and at the same time challenged to look at things differently, create possibilities, take risks, and grow. Lorri's quiet openness and appreciation for differences gave me courage to be me in spite of what others might think or say. I feel that I've been on a voyage around the world on a sailboat. The trip has allowed me to see great, unique and sometimes ugly tings about myself. I feel so refreshed and alive. It was a great voyage. Lorri is a wonderful navigator and guide." 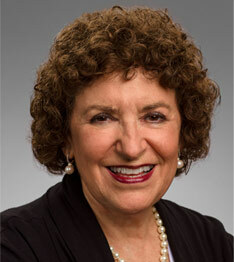 Lorri Manasse has been providing support to organizations in transition and the people in them for more than 25 years. Her systems approach helps people discover and leverage the opportunities that come with change. Lorri has helped executives manage expansion and mergers; navigate changes in the fiscal, regulatory, political and demographic environments; respond to escalating and changing customer expectations; and leverage emerging technology. She is adept at integrating human aspects of change with strategy, structure and processes. Leadership development has been a theme throughout Lorri’s career. She is currently on the faculty of the Federal Executive Institute, the federal government’s flagship executive development center. There, she facilitates and coaches teams of this country’s most senior government executives. Lorri helped a top 3 bank design a leadership development architecture for 14,000 global leaders; she helped design and deliver a multi-level leadership development program for the US Navy; helped an international package goods corporation create a competency-based leadership development process; designed a front-line leadership program for a county government; brought together members of a virtual team located in eight different locations to clarify common goals and improve communication processes. Prior to founding Cortland Group, Lorri served as Director of Organizational Consulting for Stanford Engineering and Management Systems Corporation. At the National Institute of Education, she managed a national research program on effective leadership. Earlier in her career, she designed and led an education and rehabilitation program for juvenile felons in 13 sites throughout Los Angeles County. As a coach, Lorri builds a collaborative relationship with her coaching partner. She encourages her clients to think systemically and to discover and experiment with alternative perspectives. Her coaching is grounded in principles of integrity, trust, respect and partnership. Lorri has coached mid-level leaders and senior executives in a variety of organizations, including CEOs and top executives of global organizations such as Master Card International, Chase Bank, Wells Fargo, and SES leaders throughout the Federal government (see full client list). Lorri holds a Ph.D. in public administration from the University of Southern California and a certificate in business administration from the Wharton School, University of Pennsylvania. Her BA and MA are from UCLA and California State University Northridge. She is certified by the International Coaching Federation (ICF) and by the Coach Training Institute (CTI). She has taught at Georgetown University, George Mason, UCLA and USC. When she is not working, Lorri enjoys all kinds of music but especially jazz, international travel, good food and good wine, and working out. We achieve these results with you through executive & leadership coaching, organization development, change management/leadership, facilitation, team building/development, leadership development, strategic planning, organizational assessment/design.